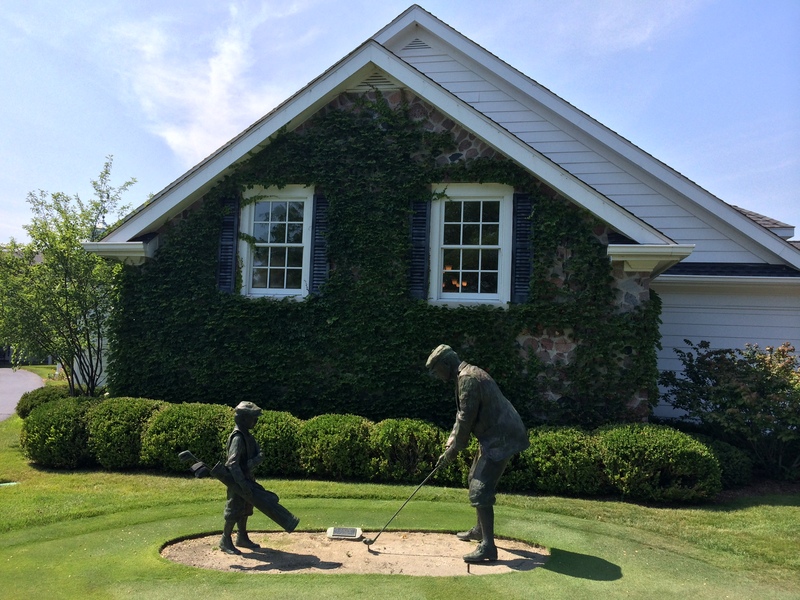 Established in 1922, Ozaukee Country Club is one of the oldest and most premier private golf clubs in the Milwaukee area. 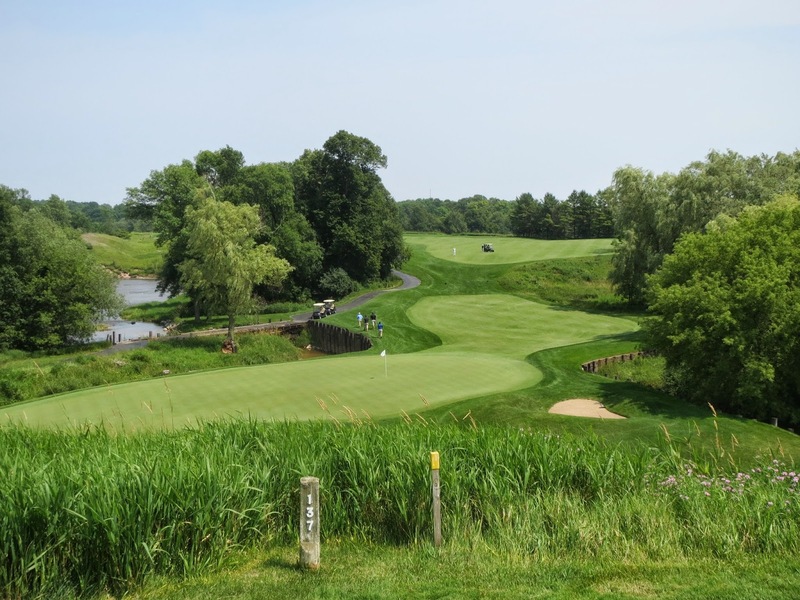 A classic Langford/Moreau design, the course is not long but certainly has teeth, placing a premium on shot-making around the greens and demanding a good short game. 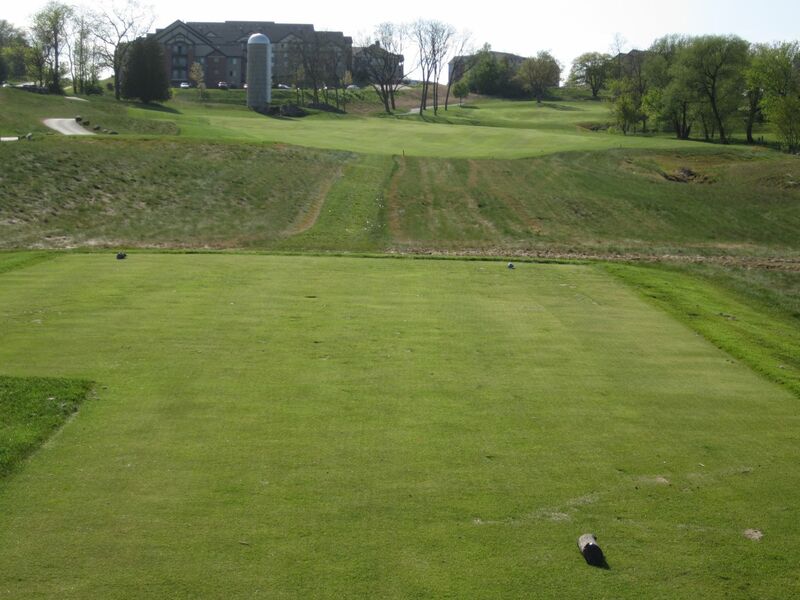 Host to the 2014 Wisconsin State Amateur, this par 70 course plays tough! In fact, only five rounds of under-par golf were recorded by the entire field, which was won by Alex Gaugert of Grand Geneva Resort and Spa with a score of +6. Robbie Ziegler of University Ridge was the only other player in the tournament to be in single digits over par, at +8. Ozaukee’s reputation really took off during the 21 years that Rich Tock served as Head Golf Professional. 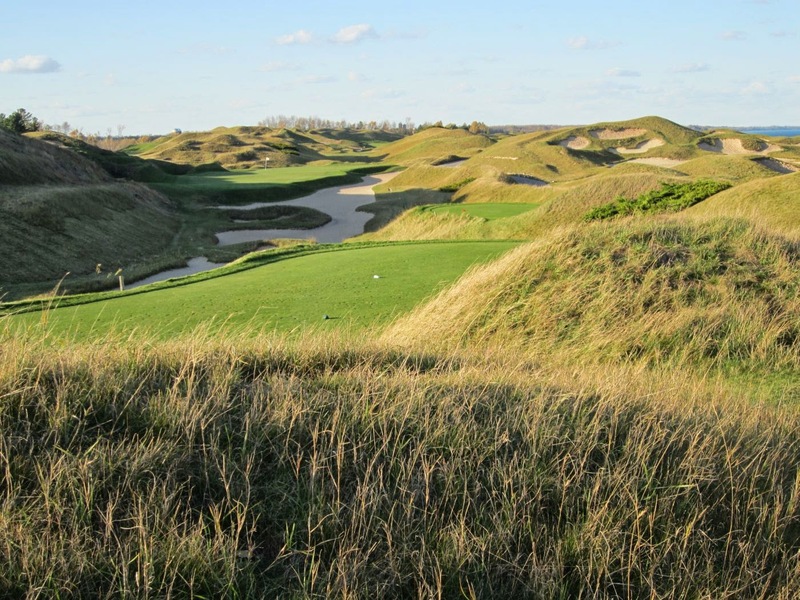 Tock, now the Director of Marketing for Erin Hills, brought the club to truly elite status in the Mequon and greater Milwaukee area. 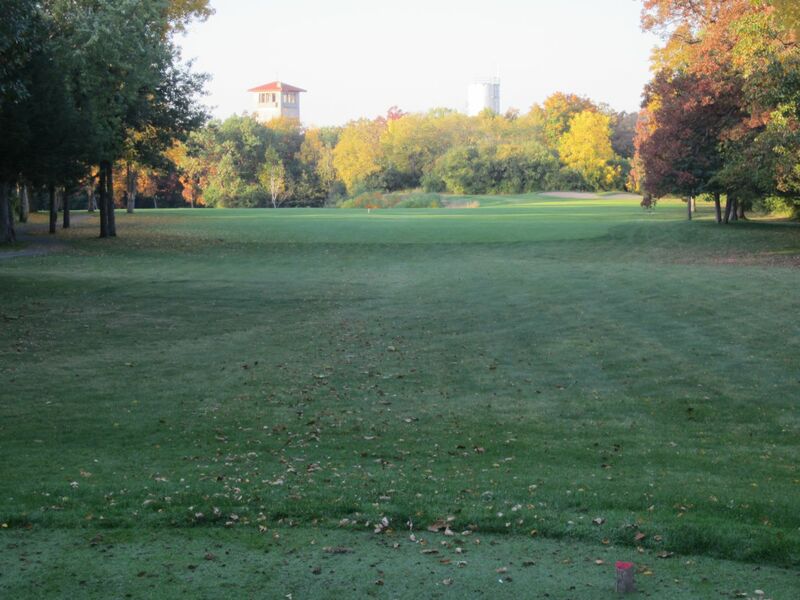 Ozaukee starts with a tough opening hole: A 400-plus yard par four with trees to the left. The right side is out of bounds, and with a fairly tight fairway it is one of the more challenging opening holes I have seen on a local private golf club. 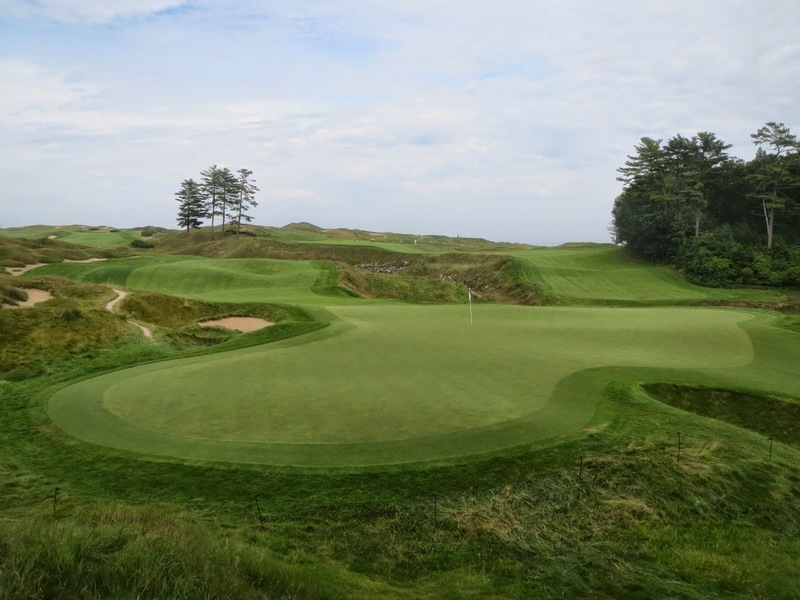 Probably one of the key reasons that scores at last year’s US Amateur were so high is that Ozaukee’s par 70 course features only three par fives, compared to its five par threes.The first of the three par fives at Ozaukee comes early, on the second hole. The wide fairway is inviting, with the right side being preferred to the left to set up a better opportunity at hitting this green in two. The approach shot plays to the left and has to carry several traps to get home safely. Heavily mounded along the right side of the fairway to keep tee shots from hitting beautiful course-side homes, the third is a mid-length par four that veers slightly leftward. The green area is especially interesting on this hole, with a steep mound front-right and shallow traps left. The first of five par threes at Ozaukee, the fourth is not your run-of-the-mill 155-yard one-shotter. The green is slightly uphill, but is massive and breaks hard from left to right, eventually to a large drop-off back-right. Back pin locations especially play tough. 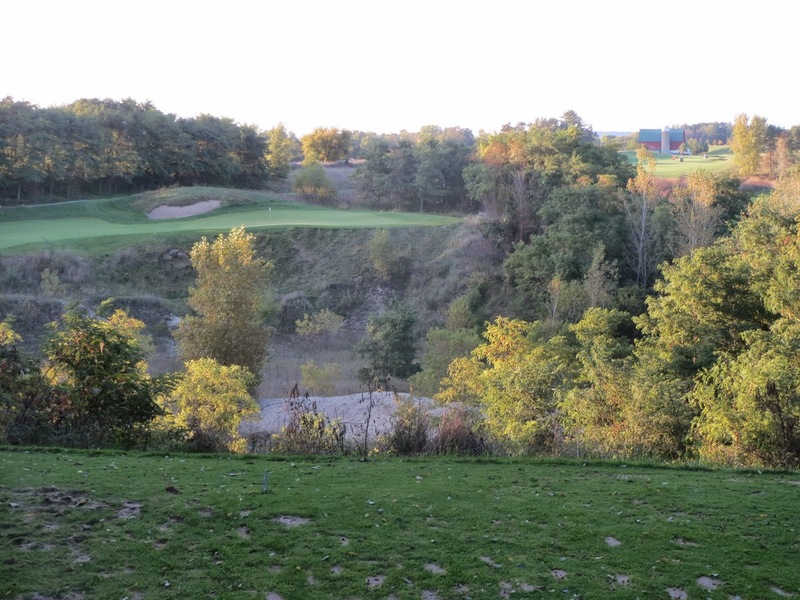 The second of three par fives at Ozaukee, the fifth is also the longest hole on the course. 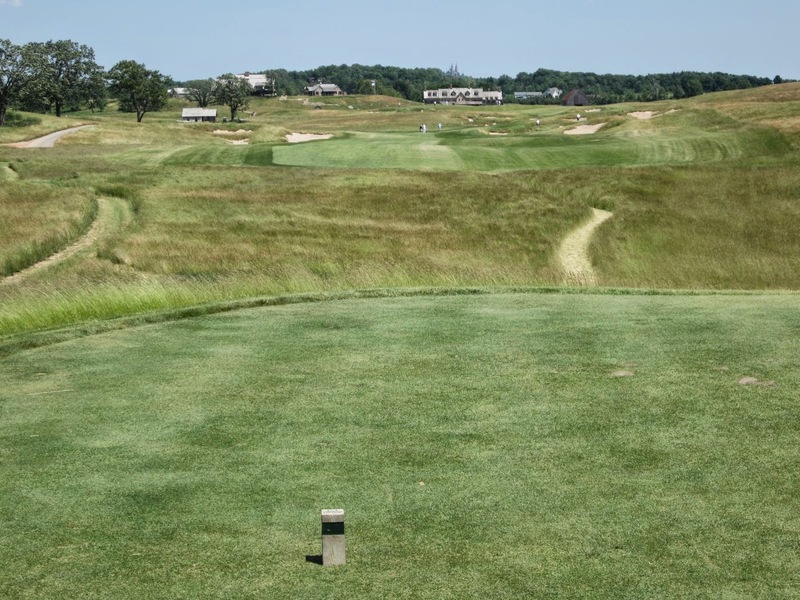 The drive is pretty straight-forward, with out-of-bounds left and plenty of fairway to target.The fairway on five is heavily sloped in many areas, rolling up and down, to the left and right. Some areas, in fact, are so depressed that it will require a blind approach shot. One of the shallower greens on the course, the large barn in the background serves as a pretty good target toward the green. 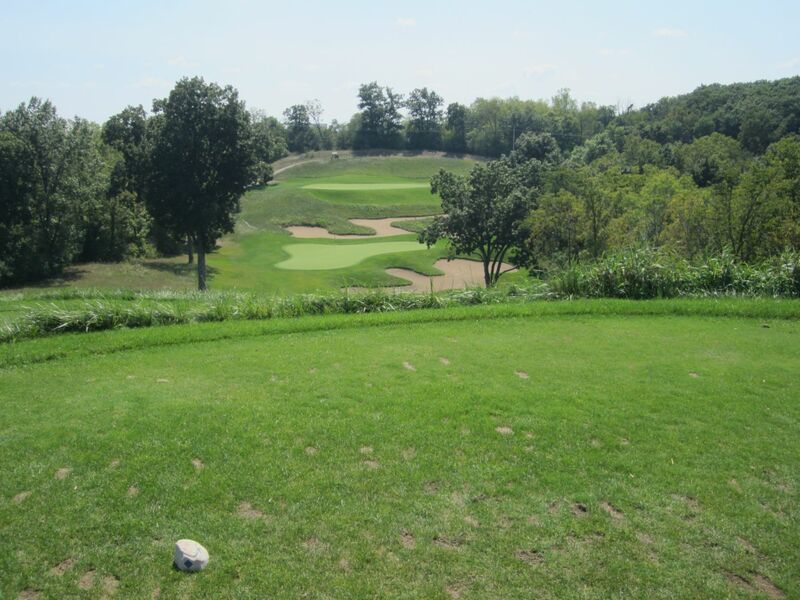 The longest par three on the course, six plays to 209 yards from the back tees, and 184 from the whites. 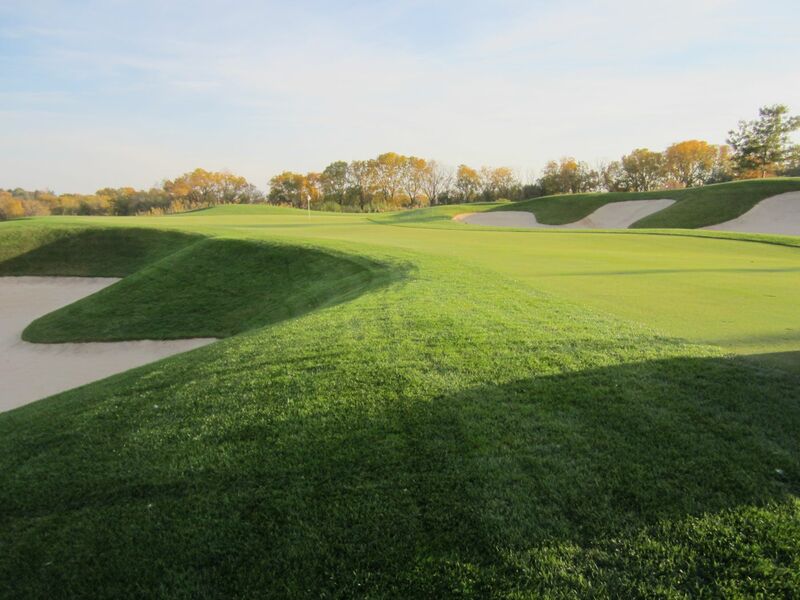 Falling heavily downhill, the green is tilted sharply from back to front, making holding the green easy – as long as enough club is used to clear the fronting green-side bunkers. The seventh hole is where my round got really interesting. After hitting the fairway trap on the right side off the tee, I hooked my second shot out of the sand to underneath a tree short and left of the green by about 30 yards.I found the ball just off the tree trunk, with less than a foot of vertical clearance to stay underneath. My friend, Mike, was laughing at how awful of a lie it was. I gave it a shot anyways, making maybe a little too clean of contact on the ball and driving it in to the heavy slope of the green-side mounding, popping high up in to the air and landing in the hole for birdie. It was even more hilarious because it was a rollover hole in our game. I’ll take it! 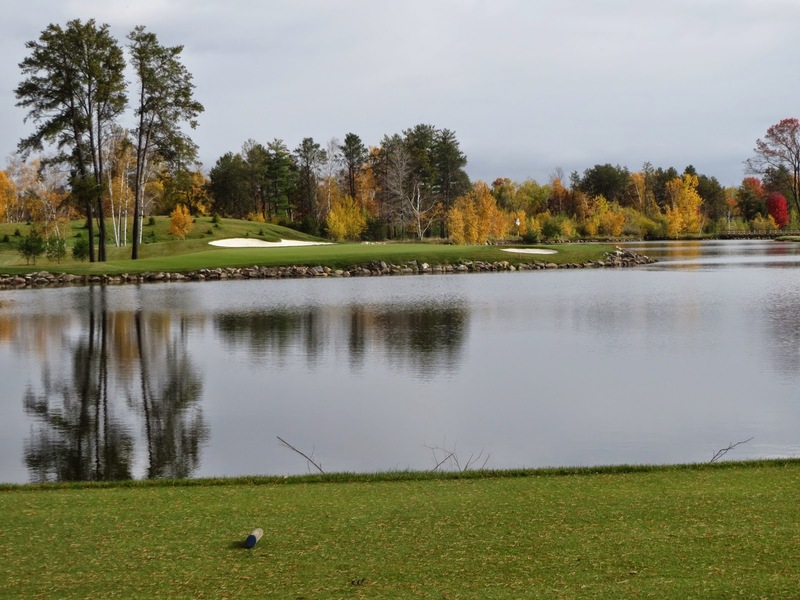 Eight is a great golf hole,with an uphill dogleg right that plays to a well-defended green in a hollow of trees. The green is long from front-to-back, and deep pin placements would take a lot of effort to get to. The right side of the green falls off heavily to deep rough, putting a real premium on the approach shot. The green on nine is very deceptive from the tee. I, for example, thought hitting over the sand trap would result in a solid green in regulation. I was shocked to see my ball well left of what might be the smallest green on the course (fitting for the shortest hole), with a gnarly downhill lie. 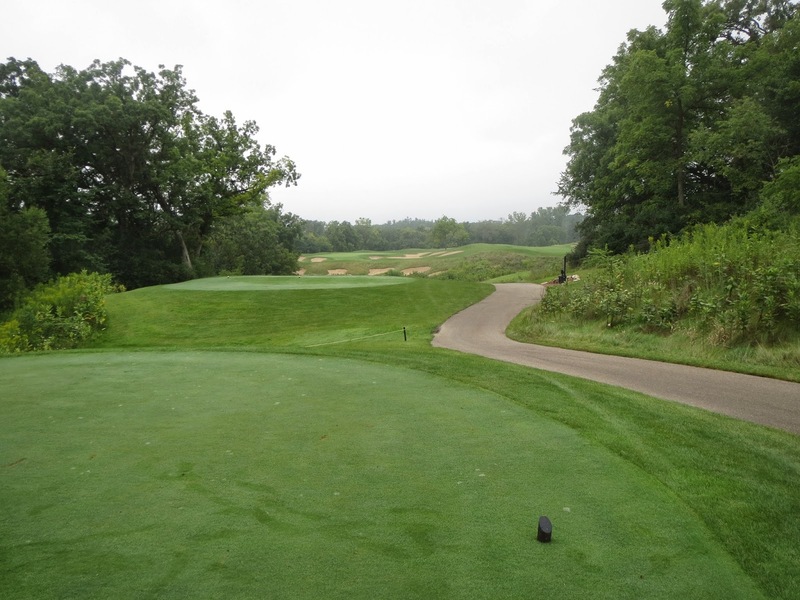 The tenth is an interesting hole at Ozaukee, and on the whole feels different from most of the course. Following a downhill tee shot, the approach is almost bound to be from a downhill lie to a green that is protected short and right by water. This is another really tough, sharply contoured putting surface. With a mostly blind tee shot, eleven plays back up the hill that was used for the fairway on ten. With one of the biggest greens on the course, the eleventh plays toward the clubhouse, and specifically toward its gigantic US flag. 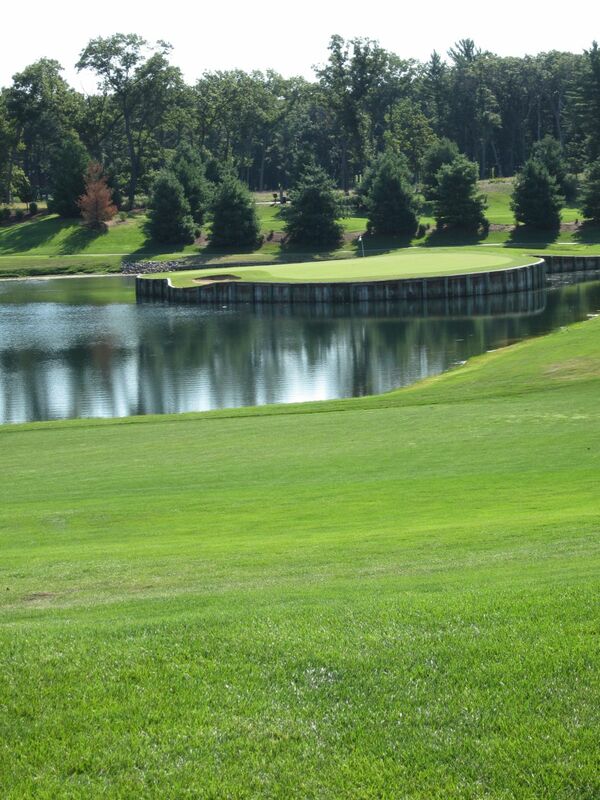 A long dogleg left par four, driver is not always the best play on twelve. A really awesome par four, the thirteenth bends hard left and downhill before coming back uphill just past the large oak tree. This roller coaster of a par four plays long, but can allow for long drives if the right side of the fairway is hit. The fourteenth is Langford/Moreau golf course design at its very best. At 200 yards from the back tees, or 160 from the whites, the tee shot plays significantly longer with the uphill climb.Similar to the seventh on the Links course at Lawsonia (Langford and Moreau’s most well-known course in Wisconsin, of course), the mounding on this par three is truly intense with a really hard-running putting surface when hit. 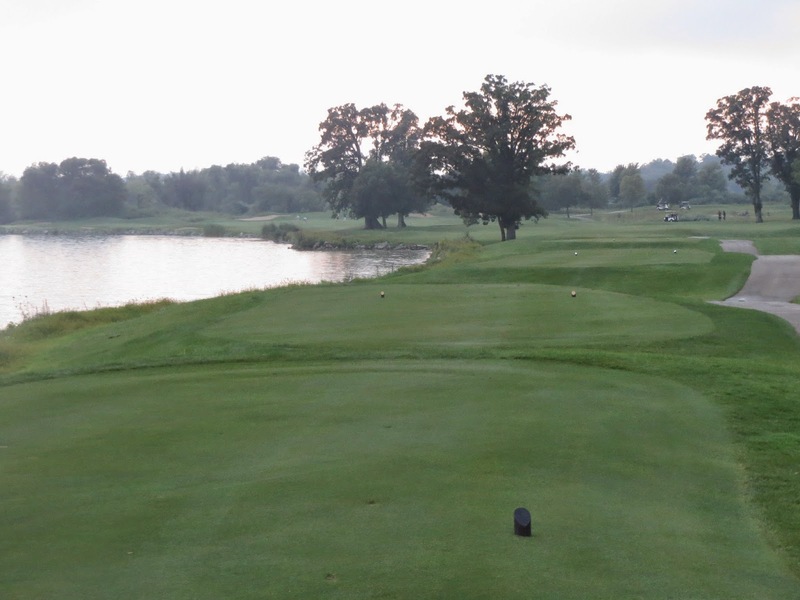 The final par five at Ozaukee Country Club, the fifteenth, shows on the scorecard as being fairly short at 497 yards from the tips, but plays significantly longer. The sand traps in the distance are the target area from the tees, and lead to a 90-degree dogleg left that will require great care if laying up on the second shot.A stream runs the left side of this second part of the fairway, and cuts through the approach area as the hole unfolds. 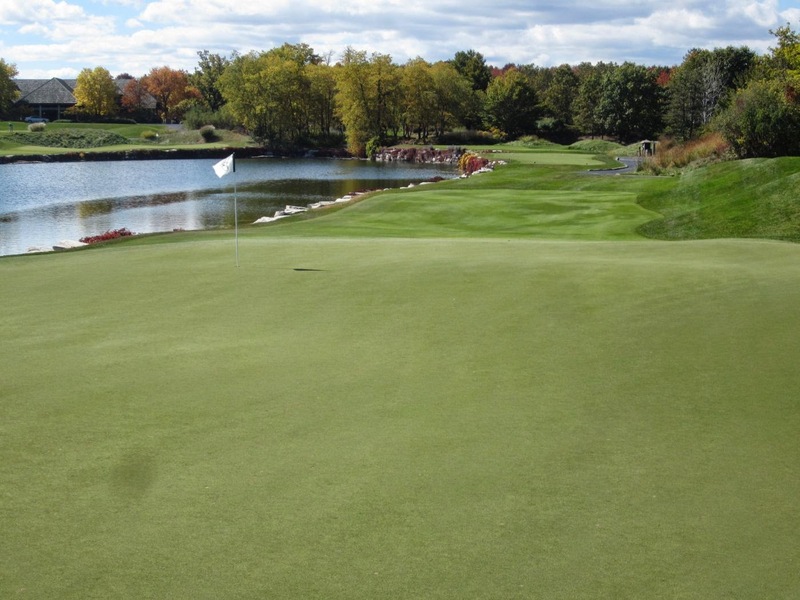 The sixteenth at Ozaukee reminds me a bit of the fifth at another Milwaukee area country club, Tuckaway, with its all-carry tee shot over water to an elevated green that slopes really hard from back to front.Deep bunkers front the left and right sides of the green complex. Teeing off alongside the Milwaukee River, which further south flows through the back nine of the Milwaukee Country Club, the seventeenth is slightly intimidating from the tee boxes with the river right and a tree line left.The fairway runs softly to the left, with one large oak tree guarding the flight zone from the short-left side of the fairway. 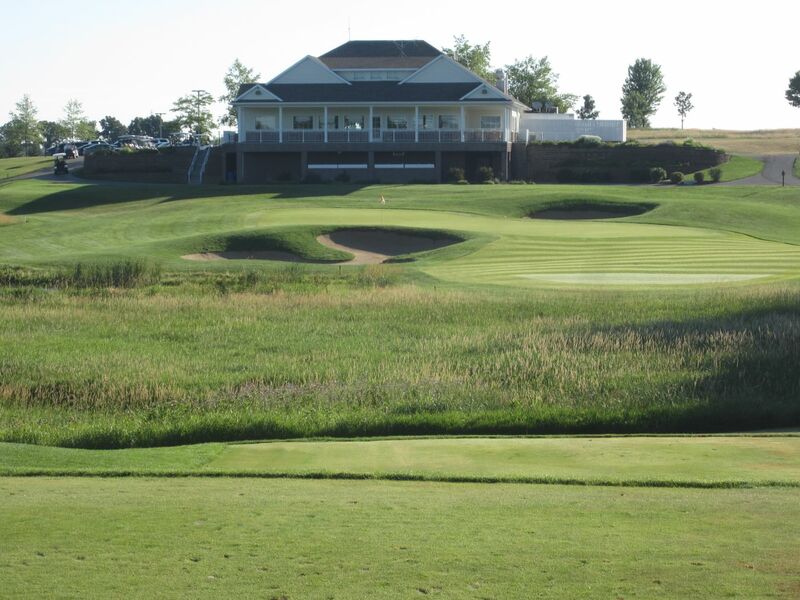 Over 400 yards and uphill, the eighteenth at Ozaukee is a solid par four finishing hole. 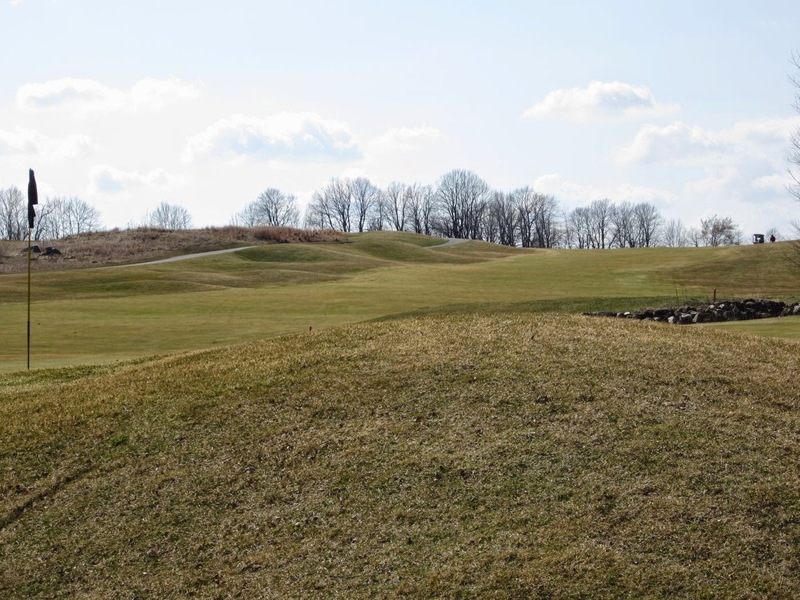 The wide fairway is easy enough to hit, but is unlikely to roll out, leaving a lengthy uphill shot to a green that is primarily hidden from view on the approach. 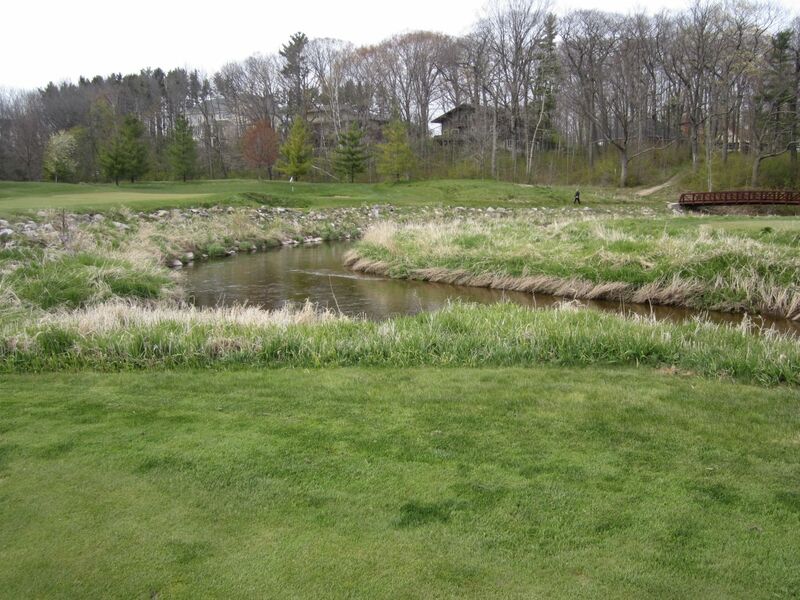 After finishing my hole-by-hole review of Ozaukee Country Club, I realize that I have left out a lot of editorial on what makes this course really special: Its greens.True to Langford and Moreau’s portfolio of golf course architecture, Ozaukee has fantastic greens that run fast and break in all directions. 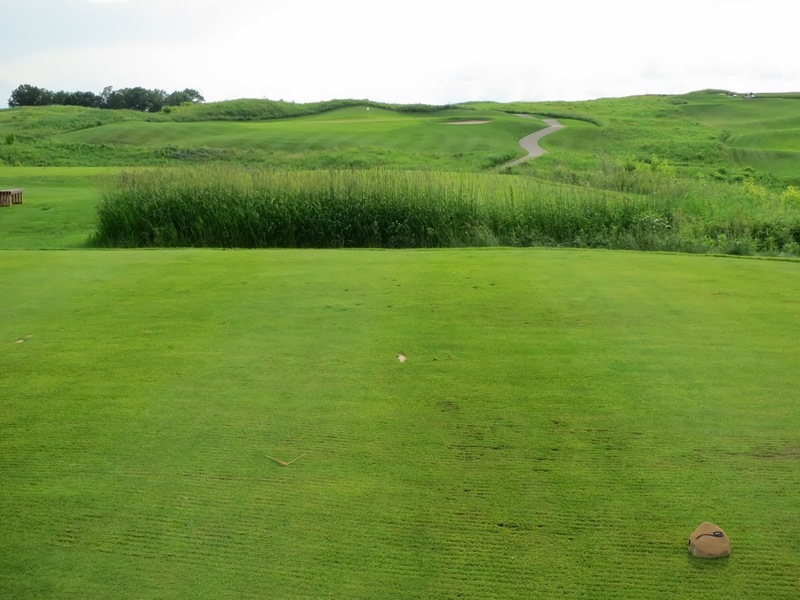 Short game is pivotal at a course like Ozaukee, and especially being able to hit targets on approaches. 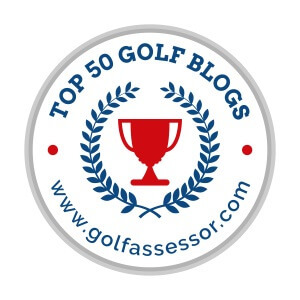 I am not able to include more germane information on specific greens in most of this review, though, because it’s been six and a half months since I played it (and have so far only played it that one time). 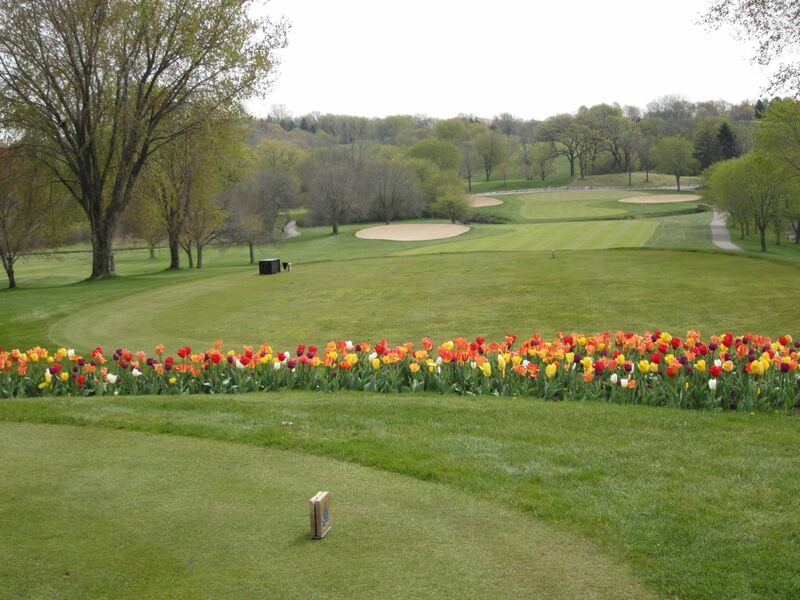 I am really looking forward to hopefully getting back again, though, during the 2015 Wisconsin golf season. 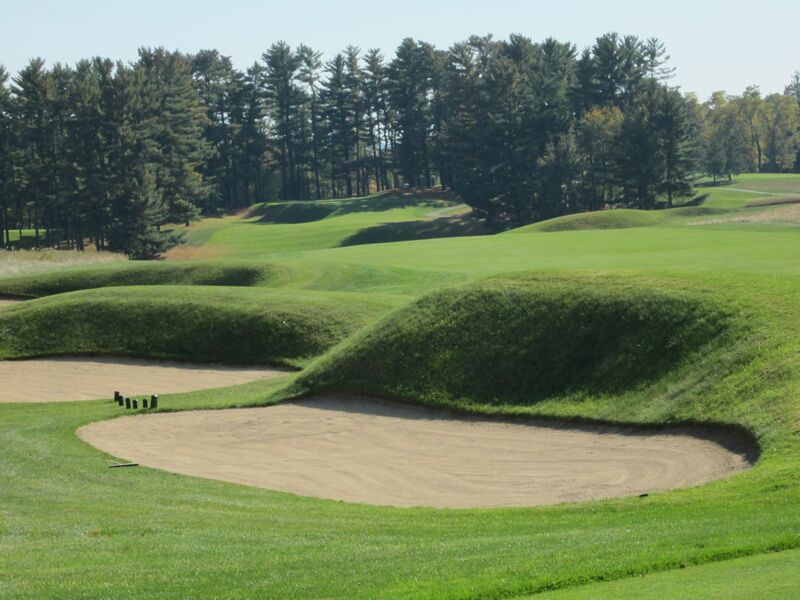 Langford and Moreau courses have a way of “Growing on people.” Their linear work and great mounding, bunkering, subtle breaks and the way they require a strategic approach to score is really addictive, and leads to more insight the more they are played. I suspect that my next round of golf at Ozaukee Country Club will feel that way for me.